During the course of the Guild’s move to a new location in 2012, priceless information about the Guild’s illustrious past activities was discovered, hidden these many years. Below is a partial listing of those events. 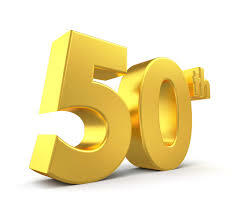 If you have any personal knowledge that will help fill in the gaps please let us know. Some of the photos may be enlarged by clicking on them. 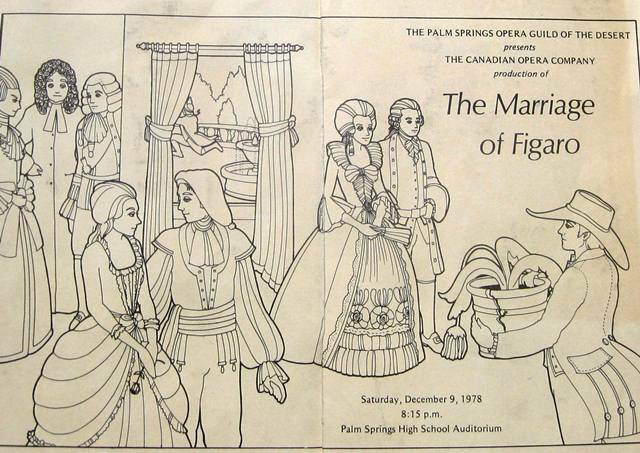 The Palm Springs Opera Company, which later merged with the Palm Springs Opera Guild, was co-founded in 1968 by Mrs. William B. (Vicki) Malouf and Diva Lily Pons, with support from Miriam Terhune (Mimi) Rudulph, who was a major force for the arts in the desert in the 60’s and 70’s. 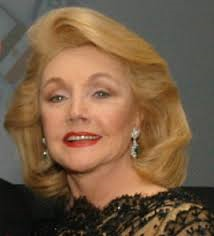 Mrs. Rudulph wrote music reviews for the Palm Springs Desert Sun and founded the Palm Springs Friends of the LA Philharmonic, having hosted an event in the desert with Zubin Mehta. 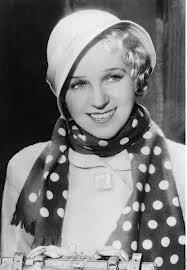 She also spearheaded a series of Afternoon Concerts and the Metropolitan Opera Showcase of the Desert, which later changed its name to Showcase. 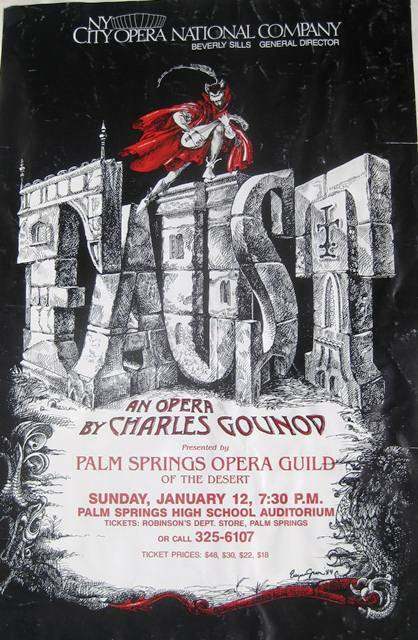 When they founded the Palm Springs Opera Company, as it was originally known, the opera productions were all presented at the Palm Springs High School Auditorium. 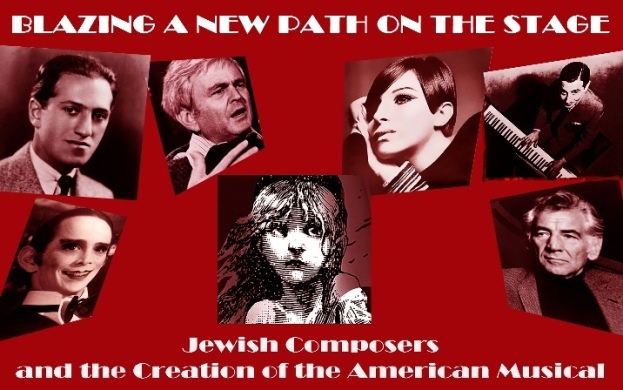 Subsequently they were held at the Annenberg Theater at the Palm Springs Museum and the McCallum Theater with recitals and receptions at the Thunderbird Country Club. 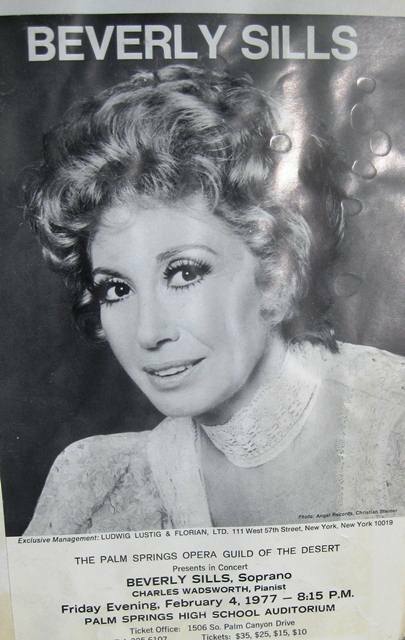 1973 – Guild co- founder Vicki Malouf hosts “Opera Bravo”, a gala fundraiser with lyric soprano Marilyn O’Leary and San Diego Opera general director Walter Herbert along with members of the Indiana School of Music in an eclectic program of arias concluding with the rousing finale from Die Fledermaus. 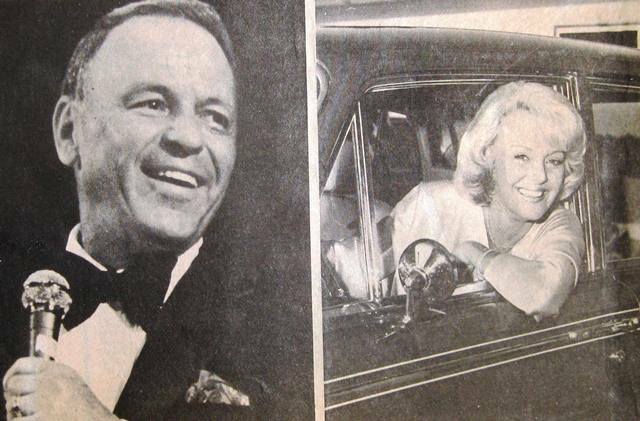 1974 – “A Night in Vienna” fundraiser honors diva Gitta Alpar at the Thunderbird Country Club. According to local columnist Doug Brown “Gitta Alpar was, as usual, her glittering remarkable self as she opened the ball with the first waltz partnered by Prince Franz Hohenlohe.”; William Wahman, James Hooper, Lawrence Cooper and Jacquelin Benson star in a Western Opera Theater (San Francisco Opera touring company) production of Il Barbiere di Siviglia; Canadian Opera Company presents Cosi Fan Tutte; Licia Albanese stars in La Bohème with Jerome Lo Monaco as Rodolfo followed by an elegant reception honoring Guild President Lily Pons, Nadine Connor, Ginger Rogers, Mrs. Bob Hope and Stella Roman. 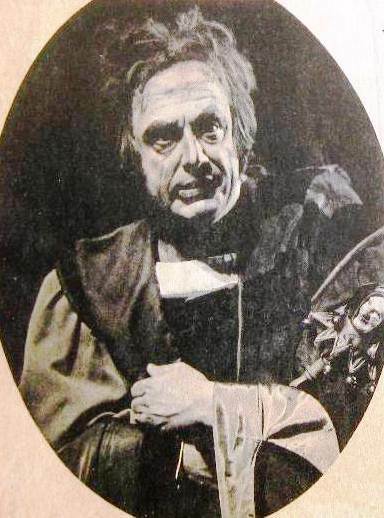 1975 – Western Opera Theater presents Jean Fenn and Morley Meredith in Tosca and Dean Rhodus starring in Les Contes d’Hoffman; Metropolitan Opera baritone Igor Garin gives a concert; the Guild continues its scholarship program by awarding first prize to Juan Hidalgo, first year student at COD. 1977 – San Diego Opera presents a Tito Capobianco production of La Traviata with Nancy Shade as Violetta, Joey Evans as Alfredo and Ryan Edwards as Germont; a concert is offered with Beverly Sills and pianist Charles Wadsworth followed by the “Camellia Ball” featuring such stars as Kirk and Anne Douglas and Carol Burnett; a fundraiser is chaired by Frank and Barbara Sinatra featuring Robert Merrill wherein he sang early 18th century Italian works, Poulenc, Ravel, operatic arias, spirituals and Broadway songs; Madama Butterfly is presented with Atsuko Azuma who, according to San Francisco columnist Herb Caen, was flown in at Guild expense from Rome; Cox and Box with Bruce Langford and Burl Dean Smith is staged by Riverside Opera. 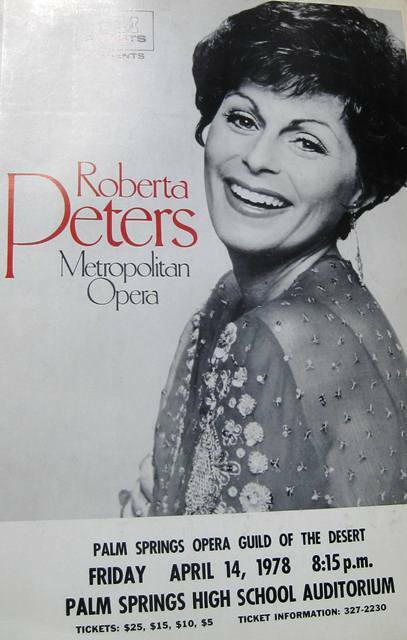 1978 – Roberta Peters is showcased in a concert featuring arias by Mozart, Rossini, Donizetti, Puccini, Gounod and Verdi; the Guild launches a Children’s Workshop with a mini-opera, Noah’s Flood, in conjunction with the Palm Springs and Coachella Valley Unified School Districts (the chorus of animals consisted of 70 youngsters from St. Theresa’s School in Palm Springs); Met Opera Audition winner Kaaren Herr gives a recital; Canadian Opera presents Le Nozze di Figaro starring NY City Opera baritone William Metcalf and Eleanor Calbes as Susanna. 1980 – Lyric Opera of Chicago stages Don Pasquale starring bass-baritone Sir Geraint Evans, soprano Susan Brummel and tenor David Gordon; Nicolai Gedda sings in a concert titled “Songs of the South” featuring arias in French, Italian and Spanish; the Academy Ensemble of the Lyric Opera of Chicago does a Pops Concert; scholarship winner Daniel Hendrick returns to Palm Springs to perform at a membership brunch. 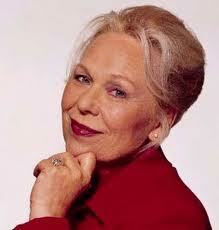 1981 – Renata Scotto, winner of the 1977 Peabody for her appearance on the first live telecast “Live from Lincoln Center”, performs in concert; Giuseppe di Stefano (who famously was quoted as saying he hates opera and that his favorite opera is “the shortest”) joins Boris Martinovich and Monika Curth in a “Neapolitan Night”; NY City Opera and Los Angeles Chamber Orchestra stage Il Barbiere di Siviglia starring Timothy Nolen and Susanne Marsee. 1982 – Met stars Patricia Craig, Bianca Berini, Lando Bartolini and Louis Quilico sing in a benefit concert; NY City Opera National Company presents Faust with Joseph Evans and Robert Hale; soprano Leona Mitchell, with Lawrence Wong accompanying, presents a concert of arias and popular music. 1983 – The mayors of Palm Springs, Cathedral City, Rancho Mirage, Palm Desert and Indian Wells proclaim “Opera Week” including a benefit with Sherrill Milnes, a concert with Gianna Rolandi and Richard Fredericks, a NY City Opera production of Carmen featuring Adria Firestone and Richard Fredericks and an evening of highlights from Pagliacci and Samson and Delilah with Richard Cassilly, Maria Pelegrini, Adib Fazah and Fredda Rakusin; mezzo-soprano Suzanna Stahl sings in the home of Mr. and Mrs. Louis Skoff; the first Guild Vocal Competition is launched. 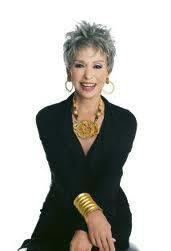 1984 – Rita Moreno stars in a concert to open the Royce Resort Hotel. According to Desert Sun columnist Pamela Bieri, “Miss Moreno, looking like a Grecian goddess with her hair in a tousled chignon crowned by a gold tiara, told funny (and, sorry, unprintable) stories about her mother’s Puerto Rican accent. Then she sang”; Met stars Rosalind Elias and Theodor Uppman perform love duets from opera and Broadway in costume at a benefit; NY City National Opera presents La bohème with Michael Sylvester and Young Mi Kim; Boris Goldovsky, “The Inimitable Mr. Opera”, hosts a wide-ranging introduction to various opera highlights; Joseph Losey’s film Don Giovanni is screened at the Camelot Theater. 1985 – Richard Stillwell and Katheryn Bouleyn star in a Long Beach Opera production of Eugene Onegin; NY City Opera National Co. stages Rigoletto with Darren Nimnicht, Candace Goetz and William Livingston; Beverly Sills is honored by the Guild in a fundraiser hosted by Dinah Shore; a fundraiser honoring Dorothy Kirsten is featured at the Royce Resort Hotel; Carmen with Placido Domingo and Julia Migenes-Johnson is screened at the Camelot Theater. 1987 – Renata Scotto returns with Vyacheslav Polosov to sing the title role in a Riverside Opera production of Tosca; Un Ballo in Maschera with “San Francisco and San Diego Opera Stars” Deborah Voigt and William Harness is produced by Riverside Opera conducted by James Sullivan; Otello starring Placido Domingo and Katia Ricciarelli is screened at the Camelot; young baritone Yu Chen wins first prize at the Scholarship Competition; Lilli Joseph establishes the Allegro Society which provided special events for elite members of the Guild. 1988 – Carol Neblett and Stefano Algieri star in an Opera Pacific production of Aida, which marks her debut singing the title role; Opera Pacific’s Kismet starring David Chaney and Beverly Lambert debuts at the brand new McCallum Theater; Paul Symons is elected President. 1989 – Opera Pacific stages Il Barbiere di Siviglia starring Pablo Elvira and Gail Dubinbaum; Long Beach Civic Light Opera presents three productions: The Student Prince with Marty Wiviot, Turandot with Ealynn Voss and Katherine Luna and Stephen Sondheim’s Follies featuring Dorothy Lamour, Juliet Prowse and Yma Sumac; Mezzo-soprano Anita Krauss wins first prize at the Scholarship Competition. 1990 – Kathryn Grayson, Anne Jeffreys and Cesar Romero are honored at the Cathedral Canyon Resort Hotel; members of the Guild produce and perform in a mini version of Turandot at Angel View Habilitation Center; Jack Jones stars in Guys and Dolls; Sondra Radvanovsky, now a Met star, wins first place in the Vocal Competition. 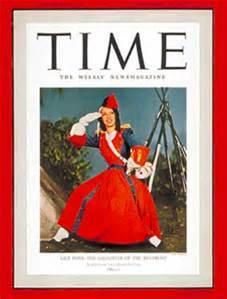 1991 – The California Music Theater, Pasadena produces My Fair Lady with Noel Harrison (son of Rex Harrison) and Opera Pacific presents Madama Butterfly with Elizabeth Hynes and Hans Ashbaker; composer/conductor Tony Rose is elected Guild president; Toni Tennille is honored at the Grand Ball. 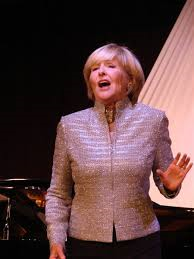 1992 – Opera Pacific stages Tosca with Carol Neblett and California Music Theater produces Camelot both at the McCallum; the Grand Ball features Nancy Wilson; Bob James is elected Guild president. 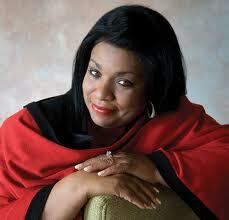 1993 – Jean Carrus is elected Guild president; soprano Jessica Siena wins First Place in the Vocal Competition. 1994 – San Bernardino Civic Light Opera stages West Side Story and Ruth Ann Swenson stars in an Opera Pacific production of Lucia; Lilli Joseph is elected Guild president and creates a partnership with McCallum Theatre director Nancy Dolensek; the first annual Viennese Ball chaired by Alex Haimes is held on New Year’s Eve with excerpts from Strauss’ Die Fledermaus sung by Natalie Limonick and the Los Angeles Ensemble Singers. 1995 – Allegro members are treated to a cocktail party at the Ritz Carlton at which each Allegro member receives a free ticket to the Cicilia Bartoli concert at the McCallum; members enjoy an Appreciation Party featuring singers Howard Keel and Roberta Linn, composer/pianist Ted Grouya and entertainer Marie Wolpert; soprano Robin Follman wins First Place in the Vocal Competition. 1996 – Tenor Charles Castronovo wins first prize in the Vocal Competition and goes on to launch an incredibly successful career performing in major opera houses the world over. 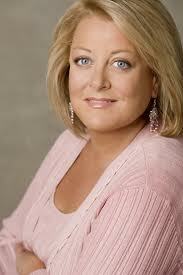 1997 – Hendrick “Rik” de Boer is elected Guild president; soprano Erin Wood wins First Place in the Vocal Competition. 1998 – Tenor Bruce Sledge wins first place in the Vocal Competition and launches an illustrious career singing at the Met, among other famous houses. 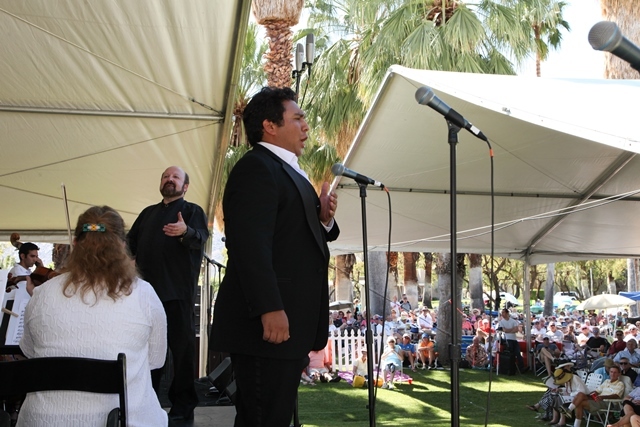 1999 – The inaugural Opera in the Park is produced by its originator, board member Arlene Rosenthal who also chairs the Vocal Competition over a span of 18 years; baritone Andrew Fernando wins First Place in the Vocal Competition. 2000 – Baritone Gregorio Gonzalez wins First Place in the Vocal Competition. 2001 – Tenor Rodell Rosel wins the Vocal Competition and embarks on an ambitious career including appearances with LA Opera, the Metropolitan Opera and Houston Opera. 2002 – Baritone David Babinet wins First Place in the Vocal Competition. 2003 – Board members Kathy Sanders and Kay Truitt co-host the 9th annual New Year’s Eve Ball “Strauss in Vienna Ball” at The Lodge in Rancho Mirage. 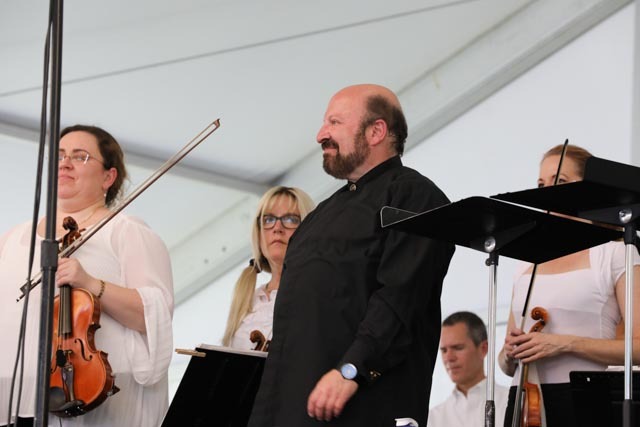 Ted Herman’s band performs and Competition winners soprano Sarah Joy Heerema and bass-baritone Nathan Stark sing arias by Mozart, Rodgers-Hammerstein, Lerner-Loewe and Webber. Board members attending include President Hendrick de Boer and his wife Doreen as well as Renée Glickman, Fay Bock, Shirley Cain, Jean Carrus, Dr. Joseph Wellington Clayes, Eva Cohen, Dr. Earl Myers, Barbara Salsbury, Dr. Robert Watson and Marie Shaw Wolpert; members enjoy Rigoletto, Miss Saigon and a Gala with the London City Opera at the McCallum; opera diva Angela Meade wins first place in the Vocal Competition and launches a highly successful career. 2006 – Reduced price tickets are offered to Guild members for the Teatro Lirico d’Europa production of La Traviata at the McCallum Theatre; two additional performances at the McCallum include the Helikon Opera Company production of Die Fledermaus and a concert with Frederika Von Stade and Samuel Ramey; bass Apollo Wong wins First Place in the Vocal Competition; Allegros are treated to a cocktail reception at the home of Russell Van Hooser. 2007 – The Guild’s annual Gala at the Thunderbird Country Club features sopranos Karen Vuong and Angel Blue along with tenor Jesus Leon and baritone Brian Cal; soprano Amy Yekel wins First Place in the Vocal Competition; Allegros receive tickets to The Magic Flute and Ernani at the McCallum; a black tie dinner is held at Wally’s Desert Turtle. 2008 – The Guild celebrates with a black tie Gala at the Thunderbird Country Club on February 16 including dancing to the music of Wayne Foster Entertainment and a musical program featuring soprano Lauren Criddle, tenor Mathew Edwardsen and 2006 Competition winner bass Apollo Wong; baritone Joseph Kyung Teak Lim wins First Place in the Vocal Competition. 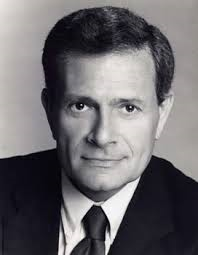 2009 – Guild members enjoy an evening with Jerry Herman, composer of such hits as Mame, Hello Dolly and La Cage aux Folles at the McCallum Theatre followed by a production of an early opera by Alessandro Stradella, Il Trespolo Tutore; Aida is produced by the Teatro Lirico d’Europa at the McCallum Theatre and Guild members travel to San Diego for the opening night of Rigoletto and a black tie reception and dinner organized by board member Dr. William Fisher; soprano Tracy Cox wins First Place in the Vocal Competition. 2010 – Soprano Patricia Welch and tenor and Guild President Kenneth Morris perform in a benefit concert at the Center for Spiritual Learning in Palm Desert; Guild members are offered discount tickets to the Teatro Lirico d’Europa production of La Traviata at the McCallum Theatre; Guild members travel to San Diego for the San Diego Opera production of Nabucco featuring a black tie reception and dinner; Kenneth Morris is elected Guild President; soprano Jacquelynne Fontaine wins First Place in the Vocal Competition. 2011 – Guild members receive discount tickets to two productions at the McCallum Theatre: Pirates of Penzance and Turandot; Guild members travel to San Diego again for the opening night performance of Carmen with mezzo-soprano Nino Surguladze and tenor Salvatore Licitra; soprano Anush Avetisyan wins First Place in the Vocal Competition. 2013 – Tenor Joshua Guerrero performs at the annual Allegro Black Tie dinner at the Heather James Fine Art Gallery; Michael Cressey, VP and Artistic Director of the Guild, produces a preview of Madama Butterfly at the Rancho Mirage Public Library with lecturer and board member Bruce Johansen; in June board member and Metropolitan Opera baritone Donald Osborne emcees Jewish Composers and the Creation of the American Musical, again at the Rancho Mirage Public Library; Opera in the Park enjoys its highest attendance ever; former PSOG president Hendrick “Rik” de Boer succumbs to a lengthy illness; the Season Preview party at the home of Stephen Lind features an operatic concert with soprano Allanah Garnier and mezzo-soprano Shabnam Kalbasi; bass Adam Lau wins First Place and soprano Michelle Bradley wins the first annual Audience Choice Award at the Vocal Competition; the Allegro reception is held at the home of Barbara and Michael Resmo in Bighorn. 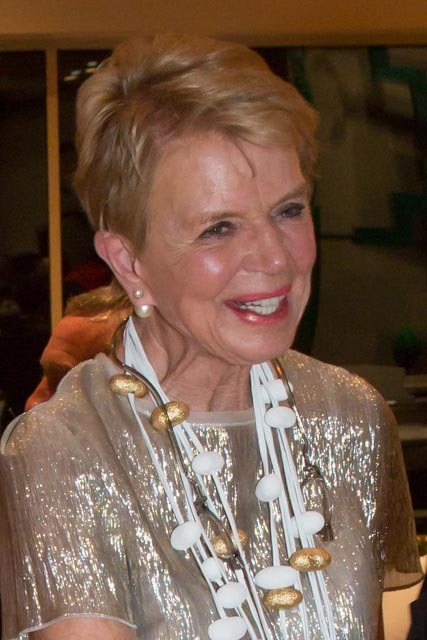 2014 – The Guild honors Patty and Arthur Newman at the “Singing the Praises” Gala for their selfless contributions to the arts in the Valley with nearly 200 attendees; Renée Rapier, First Place winner in the 2012 Vocal Competition, performs at the annual Allegro Black Tie Dinner at Heather James Fine Art Gallery in Palm Desert; the Guild’s 16th annual Opera in the Park tops previous attendance records and features perfect weather, returning maestro Valery Ryvkin and a stellar cast including Michelle Bradley, Ricardo Garcia, Jure Pockaj, Renée Rapier, Cesar Sanchez, Efraim Solis, Nathan Van Arsdale and Vanessa Vasquez; members are treated to a program of arias by Mozart, Rossini, Puccini and Mexican folk songs performed by 2000 Vocal Competition winner baritone Gregorio Gonzalez with accompanist Douglas Sumi at Smoke Tree Ranch, courtesy of Yvonne and Steven Maloney; Mick Cressey produces “The Art of Bel Canto” with Bruce Johansen delivering an overview of the bel canto period and the Outreach singers performing several arias by Rossini, Bellini and Donizetti at the Rancho Mirage Public Library; soprano Jung Won Choi, tenor Arnold Geis and accompanist David Wilkinson (USC) provide a first rate program of familiar arias at the Opening Season Party at the home of board member Stephen Lind; the 31st annual Vocal Competition is held for the first time at the Helene Galen Performing Arts Center, Rancho Mirage High School where bass-baritone Nicholas Brownlee wins first place and the Audience Choice Award is won by soprano Lauren Michelle. 2015 – The Guild honors Peggy Cravens on February 6 at the Agua Caliente Spa & Casino for her staunch support of the arts and the Palm Springs Opera Guild’s many community programs with entertainment by Vocal Competition finalists soprano Michelle Bradley and tenor Moises Salazar; the annual black tie dinner at Heather James Fine Art Gallery in Palm Desert is attended by Allegro members who were treated to an extraordinary concert of arias and folk music with soprano Lauren Michelle and baritone Ben Lowe along with accompanist Mona Lands; Opera in the Park features extraordinary performances by Laurent Michelle, Anna-Lisa Hackett, Shabnam Kalbasi, Arnold Geis, Joshua Guerrero, Moises Salazar, Ben Lowe and Nicholas Brownlee with Music Director Mona Lands and Maestro Valery Ryvkin; Bruce Johansen is elected Guild President; soprano Marina Harris, tenor Arnold Geis and pianist David Wilkinson entertain Guild members at the annual “Thank You” party at Smoke Tree Ranch courtesy of Yvonne and Steven Maloney; Shakespeare and Opera is presented at the Rancho Mirage Public Library on June 3 featuring an overview of operas influenced by the bard with the Outreach singers; the fall Membership Party at the home of board member Stephen Lind features soprano Yelena Dyachek, baritone Anthony Moreno and accompanist David Williamson and greetings from San Diego Opera’s new General Director David Bennett; baritone Alex DeSocio wins the 32nd annual Vocal Competition including Met soprano Angela Meade, Christopher Hahn and David Bennett as judges; Guadalupe Paz receives the inaugural Peggy Cravens Rossini Award after rigorous auditions with legendary Met opera tenors Rockwell Blake and Henry Price; the Guild mourns the passing of Vice President and Artistic Director Mick Cressey. 2016 – The year started with an exclusive cocktail party for Allegro members at the Camelot Theatres in Palm Springs which included a screening of Carmen from Taormina;Donna MacMillan and Helene Galen are honored at the “Singing the Praises” Gala on Valentine’s Day at the Omni Rancho Las Palmas with entertainment provided by VOX, the NBC TV singing sensation; a program of love-themed arias performed by soprano Marina Harris, tenor Arnold Livingston Geis with accompaniment by David Wilkinson and narration by Bruce Johansen is presented at the Thunderbird Country Club and again on February 17 at the Rancho Mirage Public Library to an SRO crowd; the annual Allegro Black Tie Dinner is held once again at the elegant Heather James Fine Art Gallery in Palm Desert with entertainment by soprano Michelle Drever and baritone Ben Lowe; the 18th annual Opera in the Park features soprano Jungwon Choi, soprano Michelle Drever, soprano Anna-Lisa Hackett, tenor Arnold Livingston Geis, tenor Joshua Guerrero, tenor Mario Rojas, baritone Ben Lowe and bass-baritone Nicholas Brownlee with Music Director Mona Lands and Maestro Valery Ryvkin; the annual members’ Thank You Party is held again at Smoke Tree Ranch with soprano Oriana Falla, baritone Jure Pockaj and accompanist Mona Lands; the Guild’s Outreach program introduces opera to nearly 17,000 students in the Palm Springs Unified School District with soprano Marcie Ley, mezzo-soprano Erin Gonzalez, tenor Matthew Kirchner, baritone Anthony Moreno and bass Nathan Van Arsdale; the November membership party at the home of Stephen Lind featured entertainment by baritone Gregorio Gonzalez and accordionist Nick Ariondo; soprano Anna-Lisa Hackett and accompanist David Wilkinson performed at the Virginia Waring Piano Six Hands concert at the McCallum Theatre; the 33rd annual Vocal Competition drew an SRO crowd with First Place going to soprano Amina Edris and the Audience Choice going to mezzo soprano Guadalupe Paz; Peggy Cravens awarded the Rossini First Place prize to soprano Liv Redpath and Second Place went to baritone Michael Aiello. 2017 – Artistic Director Andrew Eisenmann hosts an exciting evening “Attitude is everything….an evening at the Opera” by invitation only at the Thunderbird Country Club followed by a repeat performance for the public at the Rancho Mirage Public Library with soprano Oriana Falla, soprano Madison Leonard, tenor Ricky Garcia, baritone Ben Lowe and pianist Paul Floyd; a fundraiser is held on March 10 at the stunning home of Donna MacMillan featuring a live performance of highlights from “Carmen” with mezzo soprano Katarzyna Sadej, soprano Danielle Palomares and tenor Joshua Wheeker and accompanist Douglas Sumi; Jean Carrus hosts an Allegro reception at her home featuring soprano Liv Redpath (former Second Place and Rossini Award winner) and tenor Joshua Wheeker, both in the LA Opera Young Artists program along with accompanist Constance Gordy; the 19th annual Opera in the Park is a resounding success with some 5000 attendees enjoying an afternoon of opera arias at Sunrise Park featuring soprano Amina Edris, soprano Jacquelynne Fontaine, soprano Madison Leonard, mezzo-soprano Guadalupe Paz, tenor Ricky Garcia, tenor Marcus Klotz, tenor Joshua Wheeker and baritone Ben Lowe along with a 30 piece orchestra conducted by Maestro Valery Ryvkin; the year end membership party at Smoke Tree courtesy of Yvonne and Stephen Maloney features tenor Johar Hernandez-Carr and soprano Jacquelynne Fontaine, who is a previous first place winner of the annual Vocal Competition; the season opening party at board member Stephen Lind’s home features a group of talented “Ambulanate” singers from Tiajuana, Mexico; the Guild is invited to participate in the Galen First Friday events at the Palm Springs Art Museum in Palm Desert and presents a recital of dueling sopranos Liv Redpath and Lauren Michelle with accompanist Paul Floyd; the Dorothy Nocita 34th Annual Memorial Vocal Competition on December 3rd at the Helene Galen Performing Arts Center awards over $40,000 in scholarships to 8 outstanding finalists with soprano Liv Redpath taking first place and soprano Lauren Michelle winning the Audience Choice Award. 2018 – The Guild kicks off the new year with a new program,OPERAtunity, for students in local high schools who prepared a presentation of Michael Ching’s contemporary comic opera Speed Dating Tonight at the Rancho Mirage High School; the Guild celebrates its 50th anniversary with a Gala at the Palm Springs Art Museum and Annenberg Theater featuring cocktails and entertainment in the sculpture garden followed by a performance by NBC’s VOX and a sumptuous dinner in the museum atrium; the Allegro black tie dinner is held at Eight4Nine restaurant in downtown Palm Springs; the 20th annual Opera in the Park draws thousands for a perfect afternoon of popular opera arias sung by Liv Redpath, Alyssa Wills and Sunmi Shin, sopranos, Erin Gonzalez, mezzo-soprano, Jesús León, Carlos Enrique Santelli and Joshua Wheeker, tenors and Ben Lowe, baritone accompanied by a 32 piece orchestra conducted (his 10th year) by Maestro Valery Ryvkin; the season closing party is hosted by Yvonne and Stephen Maloney at Smoke Tree Ranch and the new slate of directors is announced including Thomas Patrick as President…entertainment features a selection of arias sung by soprano Milan McCray and baritone David Castillo with Cheryl Lin Fielding accompanying; the Dorothy Nocita 35th Annual Memorial Vocal Competition on December 2nd at the Indian Wells Theatre at Cal State San Bernardino Palm Desert Campus awards over $40,000 in scholarships to 9 outstanding finalists with tenor Carlos Enrique Santelli taking first place and baritone Ben Lowe winning the Audience Choice Award. 2019 – The year leads off with an Allegro cocktail party at the home of Karen Miles with soprano Liv Redpath and tenor Joshua Wheeker performing a selection of arias from the masters; a week later a concert is held at the Rancho Mirage Public Library and Planetarium with arias and songs about the stars and planets hosted by past president Bruce Johansen; the second year of OPERAtunity features a newly commissioned opera, THRIVERS by Michael Ching, with high school students from the Coachella Valley.